Happy 1st Day of Fall! Here's a perfect diffuser blend to diffuse while you wait for your apple cider to heat up. Diffusing orange essential oil is a great way to start your day off with an inspiring boost of citrus aroma. Rosemary is a familiar herb with a strong woodsy scent that can promote feelings of clarity. 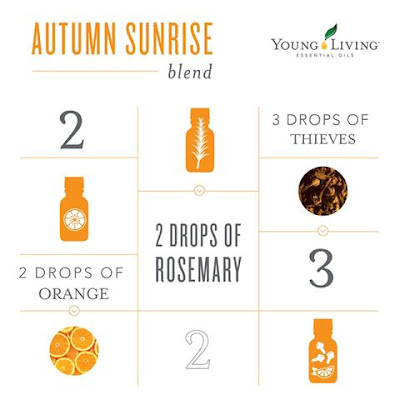 Thieves® essential oil is an aromatic blend that fills any space with a rich, spicy aroma. Thieves® essential oil is one of the eleven essential oils that is in Young Living's Premium Starter Kit.